Now that you know what the general characteristics are for hand knotted rugs, the next step is finding the right one for your home. Find a Quality Rug Dealer: There are all types of rug dealers in this world, but the ones that stand out offer high quality products. They are actually eager to educate you about the rugs they have on sale and help guide your choice without pushing or bullying. You should do a little research to find the best rug dealers in your area. Measure the Area: You’ll want to know the area the rug is going to cover before making your purchase. So, measure the area that needs coverage and allow for the space around the rug so the floor can show as well. Focus on Quality: You’ll want your rug to compliment the décor of your home and that means it should be of very good quality. If you have chosen a reputable rug dealer, that should not be an issue. However, you will need to focus on the having the best in quality when purchasing a rug for your home. Overall, finding the best hand knotted oriental rugs for your home starts and ends with high quality. A good rug is more than just a practical addition to your residence, the quality alone enhances the room as well. 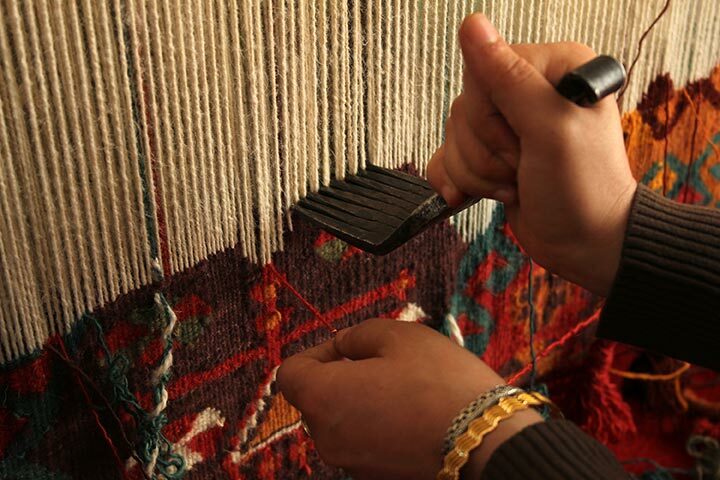 This means that you’ll need to find the best in terms of overall quality and style when shopping for hand knotted rugs.